It’s Mr Cookingfanatic’s birthday and babycookingfanatic’s half birthday (yes, we do all the frivolous celebrations in this household!). 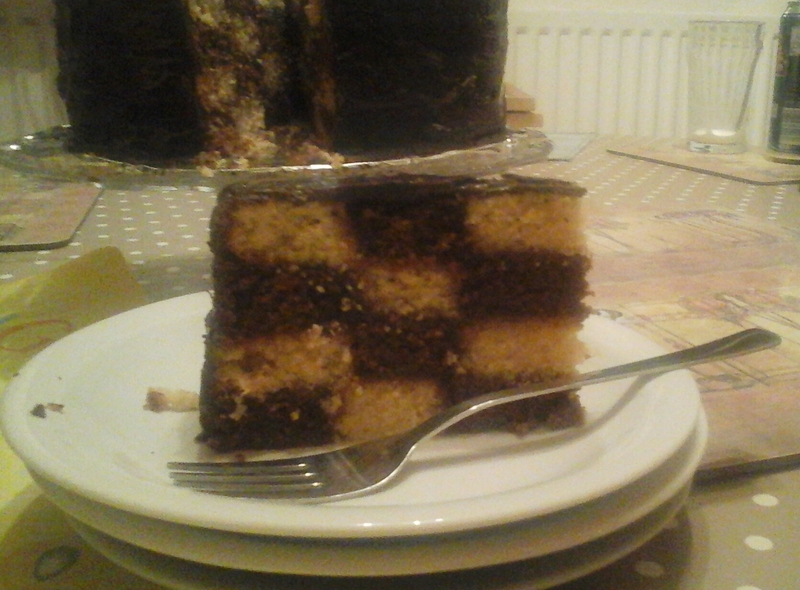 And I’ve been meaning to make this hidden battenberg cake for ages. Scroll down to the end to see the finished product. Start by making 4 sponges of 2 different colours. 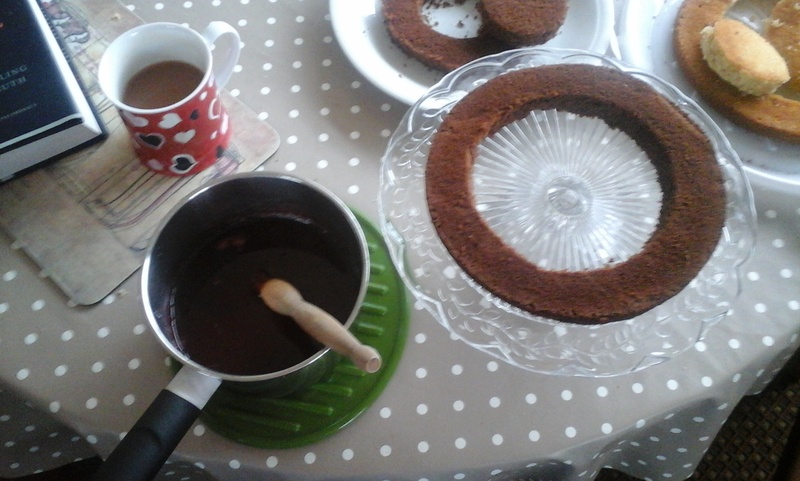 I made 2 vanilla sponges and 2 chocolate sponges. 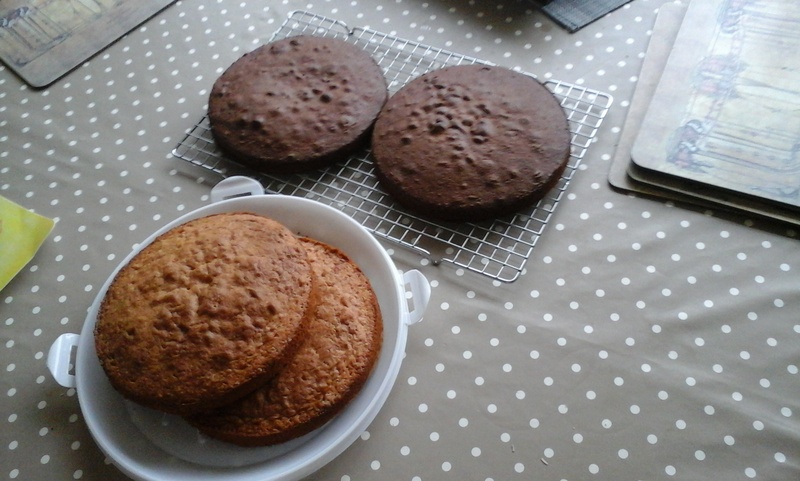 I have quite large cake tins, so each pair of cakes was 8oz flour, 8oz sugar, 8oz butter, 4 eggs. You could go for more interesting flavours, or just use food colouring. Trim the tops of the sponges to get rid of any domes. Then eat the trimmings with jam like a big, but rather floppy, sandwich. 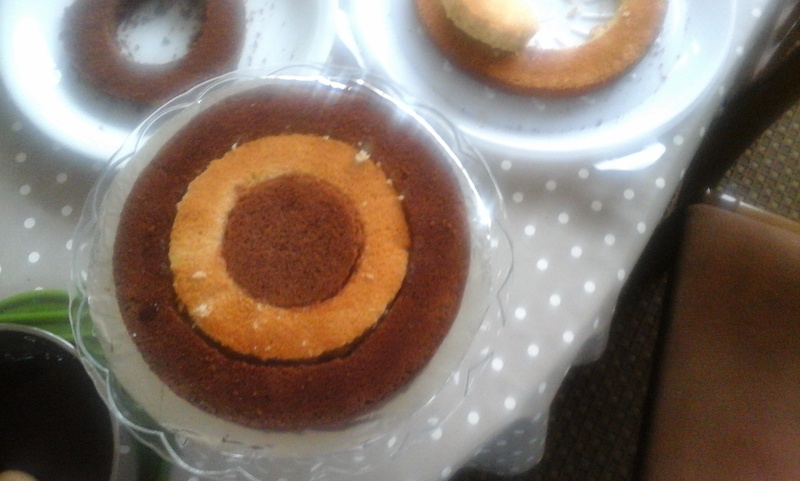 Now you want to divide your cake into 3 sort of rings (well 2 rings and a circle). 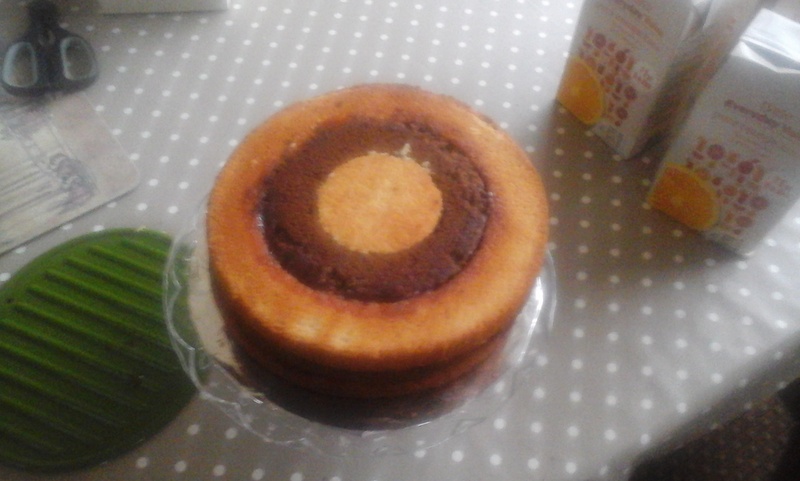 It’s essentially going to look like a target of cake. 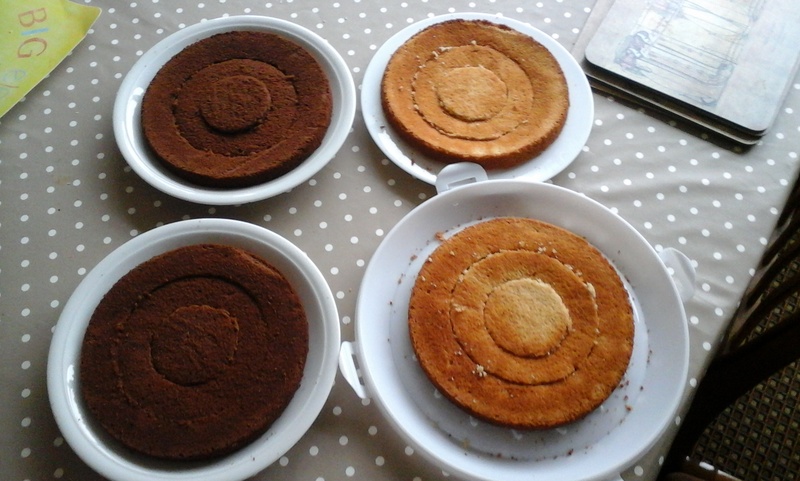 My cakes had a diameter of about 21cm, so I divided this by 3 and got 7cm (I always knew that Maths degree would come in useful). So my inner circle needed to be 7cm wide, the next one 14cm wide. You could try going for 4 circles, but the sponge would be likely to break up I think if the rings get too narrow. Perhaps you’ll see what I mean below. 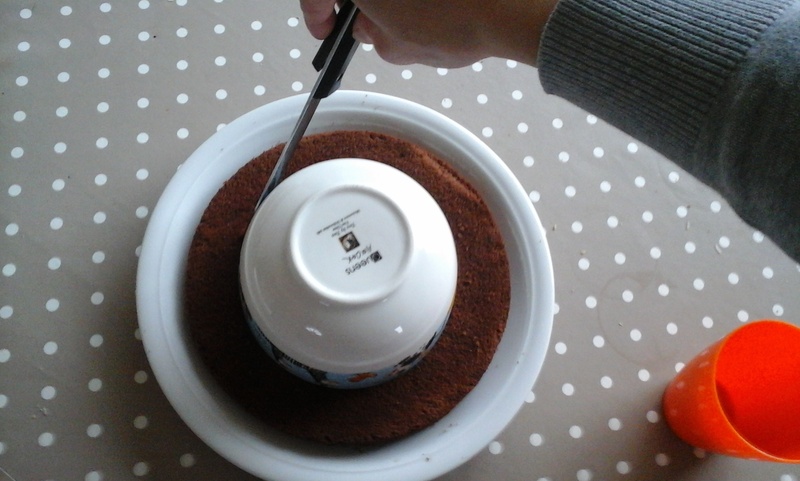 You could use paper templates for these 7cm and 14cm circles, or large biscuit cutters, but I used this bowl and cup. 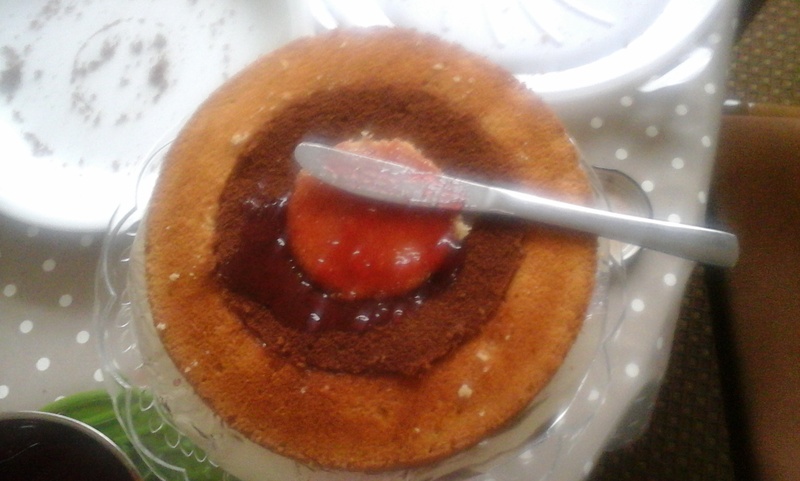 Cut around the bowl with a knife, and then the cup in concentric rings. You can see here that juniorcookingfanatic thought I should actually just press down on the cup like a biscuit cutter, and it turns out he was right. 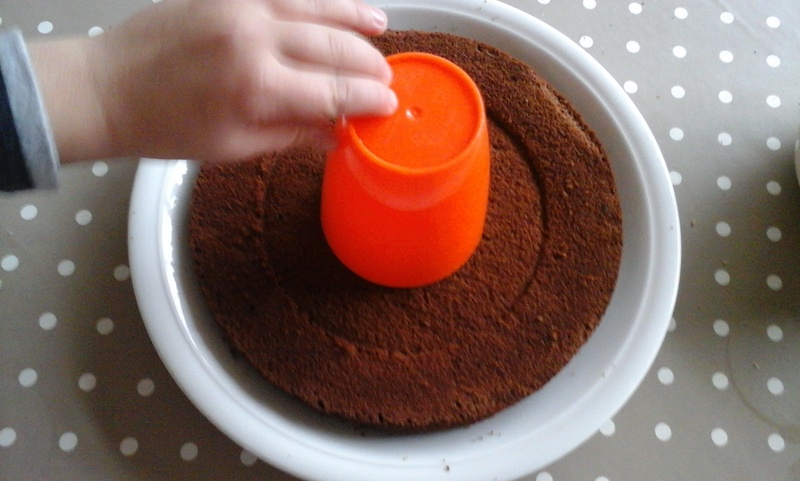 Both the bowl and cup cut the sponges neatly. Cut all 4 sponges in this way. 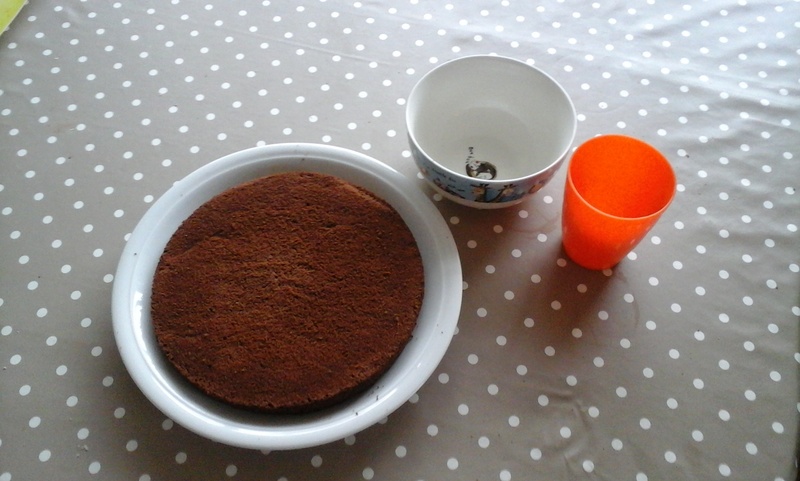 Now prepare to assemble the cake. Warm up some raspberry jam with a bit of water. This makes it easier to spread between sponges. 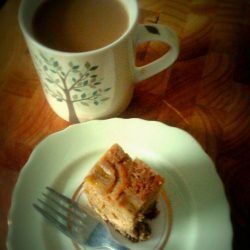 Get a cake stand/flat plate/cake board ready. In fact, I decided to put down an improvised cake board (kitchen foil and a cereal box), so I can lift the cake into a tin if we don’t devour it all in one go. Place one large ring onto the stand. 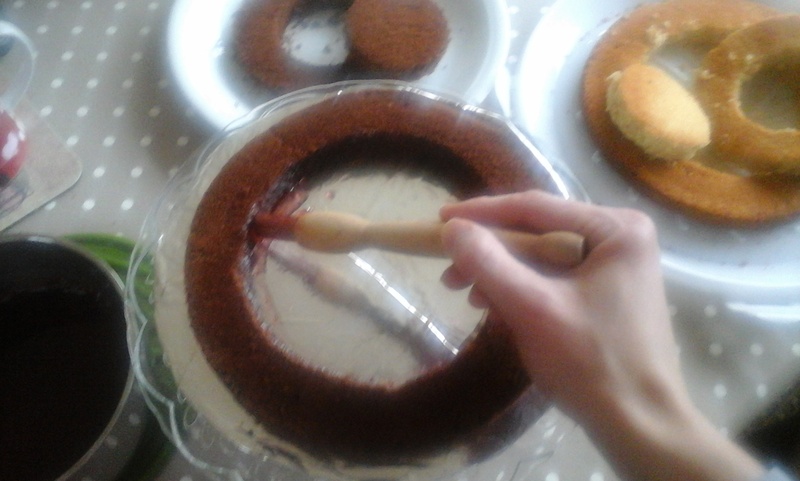 Then brush the inside of the ring with jam. Now fit one of the middle sized rings inside (the other colour – from now on, I’m going to call them light and dark). 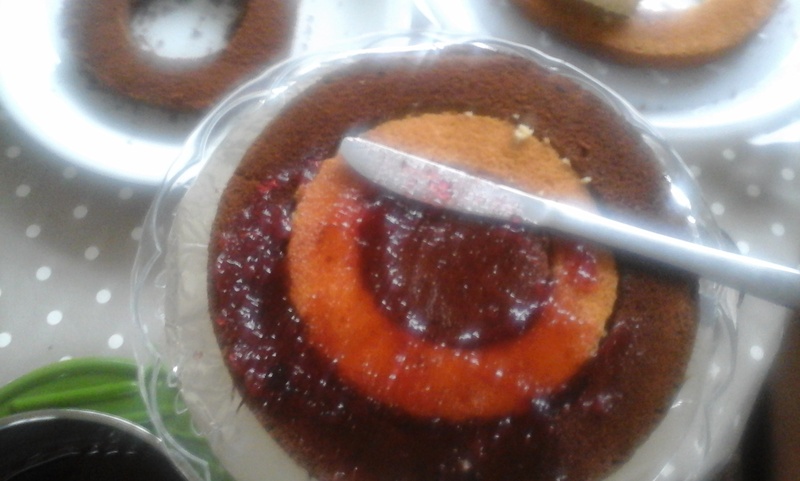 Brush the inside of this with jam and then place a dark small circle inside. Looking good. This is the first layer. Spread a thin layer of jam over this. Now do another layer like this, but the other way around, so light-dark-light, with jam between each ring, and on top. 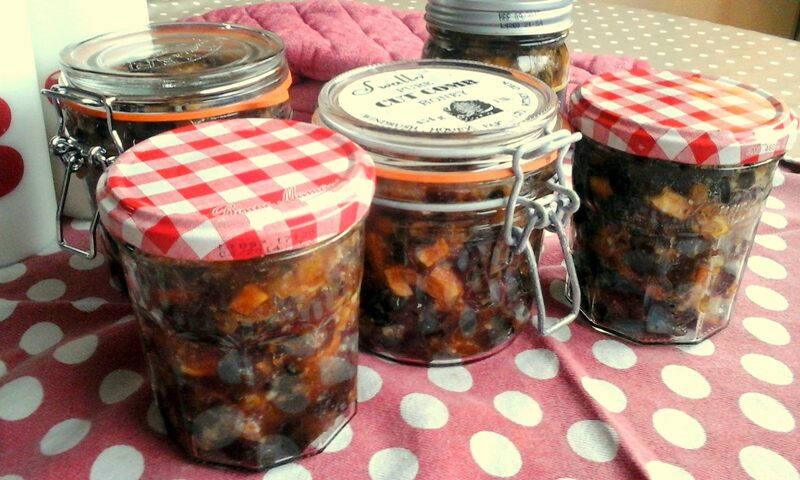 And now two more layers, dark-light-dark and light-dark-light (but no jam on top of the final one). 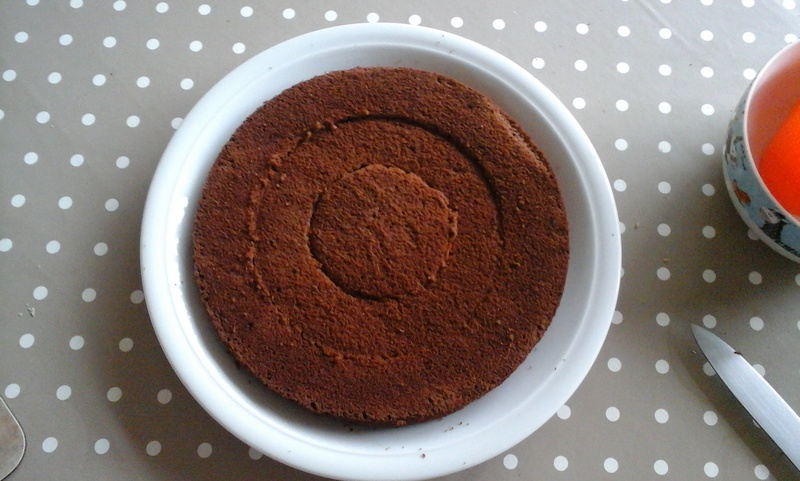 Mine was a bit uneven, so I put a heavy weight on top for a bit to flatten it down. 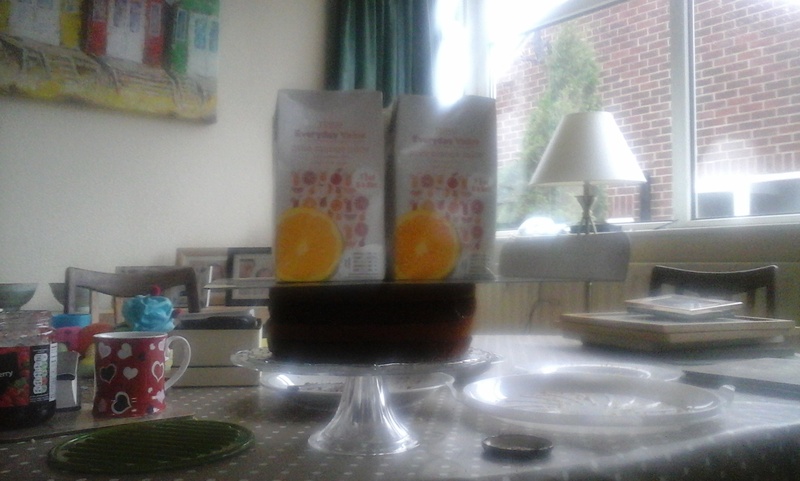 Yes it’s 4 fruit juice cartons on top of a baking tray. 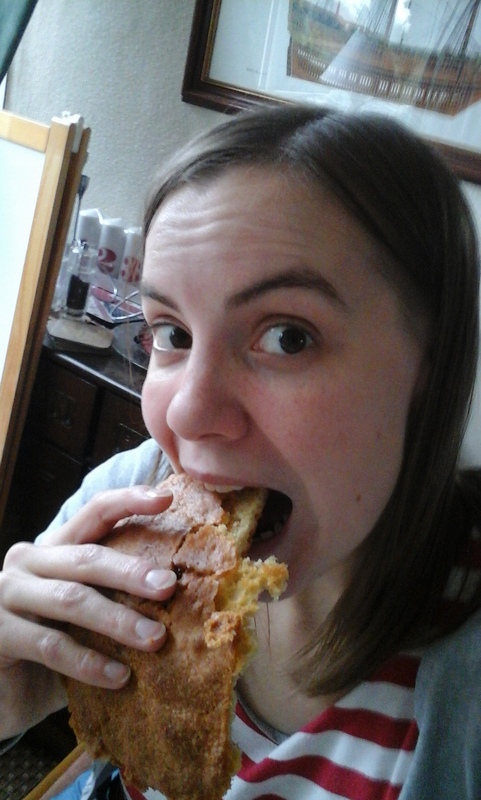 And that’s the closest this cake came to healthy. 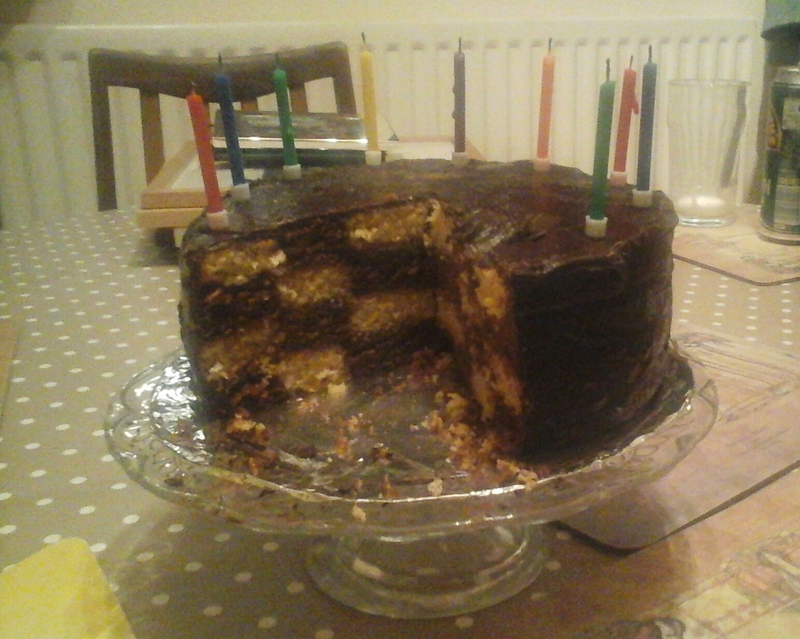 Once the cake was evened up, I covered it with melted chocolate. 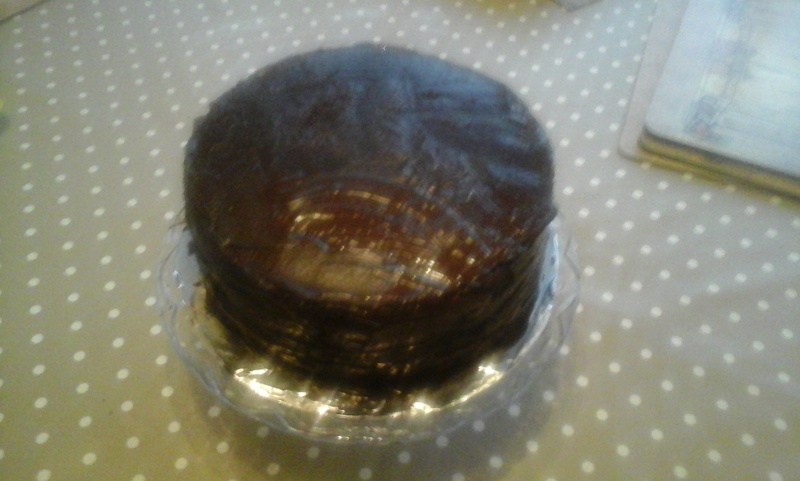 Ganache or butter icing would have been easier to cut, but I was making it dairy free, so I just used a thin layer of dark chocolate. 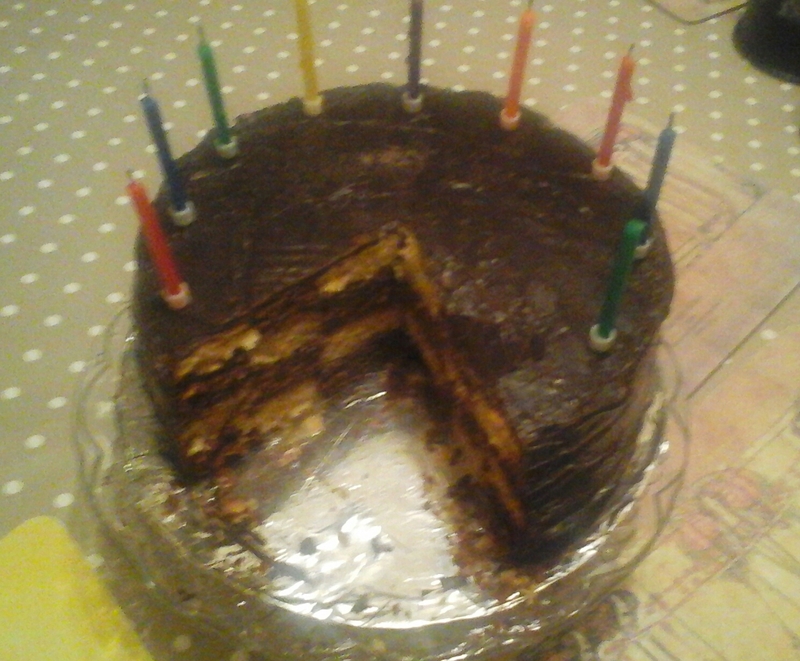 It’s good to cover the whole cake, because it makes the surprise inside more of a, well, surprise.